Helpd Ltd > Guide > What can I do about Hoarding? 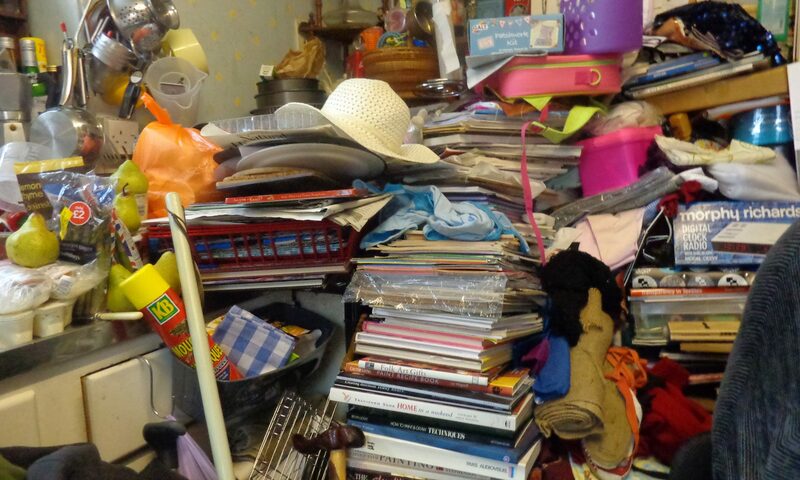 According to the NHS, hoarding is now an officially recognised disorder, but that doesn’t mean it’s an easy topic to tackle when you have a family member who is suffering – especially in the case of an elderly relative in need of care. We’ve spoken with Jo Cooke, director of Hoarding Disorders UK and author of Understanding Hoarding to get her take on where to start when handling a very sensitive subject. You can find out more information about Safe and Well from your local Fire Service. Details for all regions can be found here: www.cfoa.org.uk. In Jo’s experience, it’s best to begin with items that do not have an emotional connection. In the case of one client, they had more than 80 towels taking up space and they found the concept of passing these on to a homeless shelter far easier to deal with than sorting through photographs. Jo has discovered that people who hoard can be extremely altruistic – many of them have held on to items ‘just in case’ and feel comforted by the knowledge that their belongings have gone on to help another person. She partners with local organisations including crisis centres, women’s refuges and homeless charities which means that the help she provides to her clients has an additional positive outcome as items are passed on to people who are in desperate circumstances. Jo has such a wealth of experience that we can’t fit it all in one post, the great news is that she’s created some excellent resources to help people who want to find out more about, or need help with, hoarding.